Simplify SOX, compliance, and internal controls management for good. 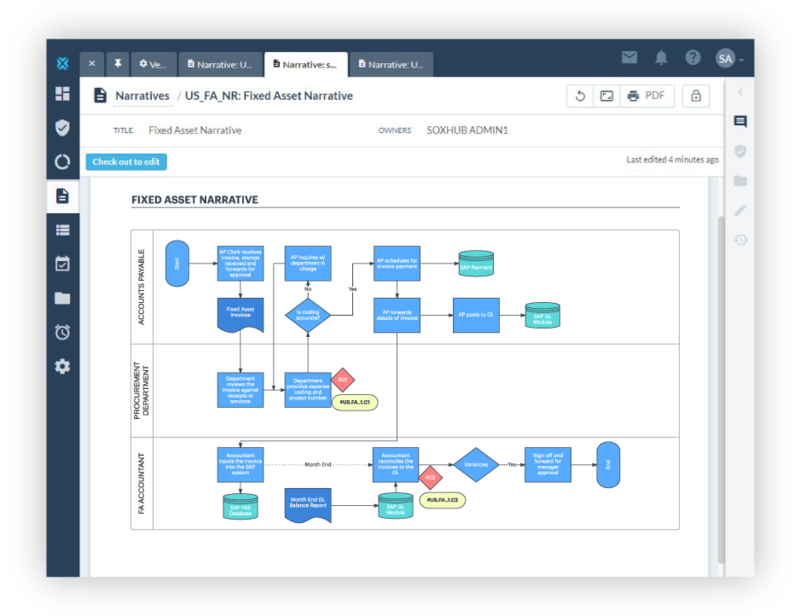 With our AuditBoard integration, you can convert lengthy narratives into accessible flowcharts and insert them along with your other audit documentation. Combine Lucidchart diagrams with your existing documentation. 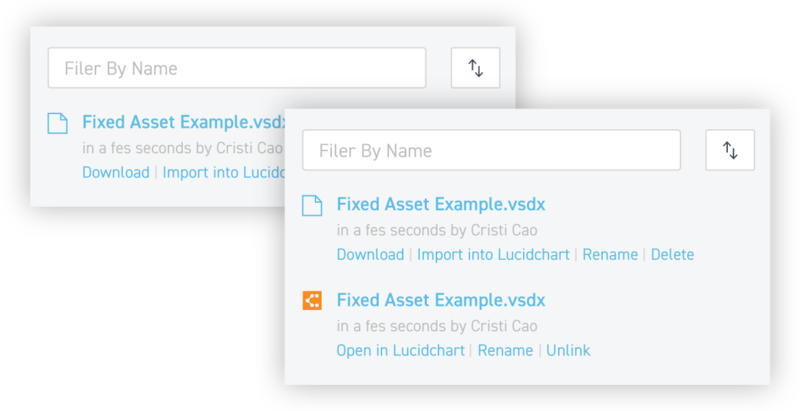 Our integration will also allow you to open and edit Lucidchart documents from the AuditBoard environment. When you make changes in Lucidchart, your embedded diagrams will update with a quick refresh, so you always have the most current processes at your fingertips. 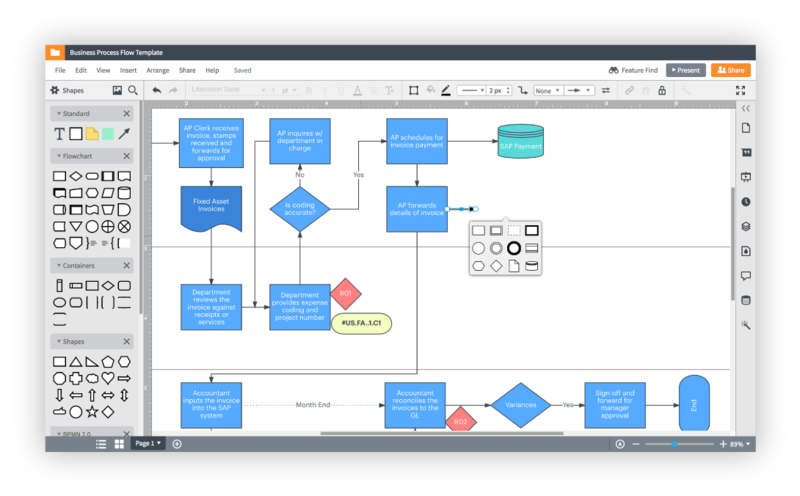 Have you been using Visio to create flowcharts? Take advantage of our cloud-based, collaborative platform without wasting your past work. Using our integration, you can import your Visio files and convert them into Lucidchart documents with a single click in the AuditBoard app. You’ll hear it time and again—our customers love Lucidchart for its ease of use. Just open a template or drag and drop the shapes you need to get started. In Lucidchart, you can customize your workflows to highlight control points or note areas that need to change within the process. You may be the person in charge of documenting processes—but that doesn’t mean you’re the person who uses them daily. 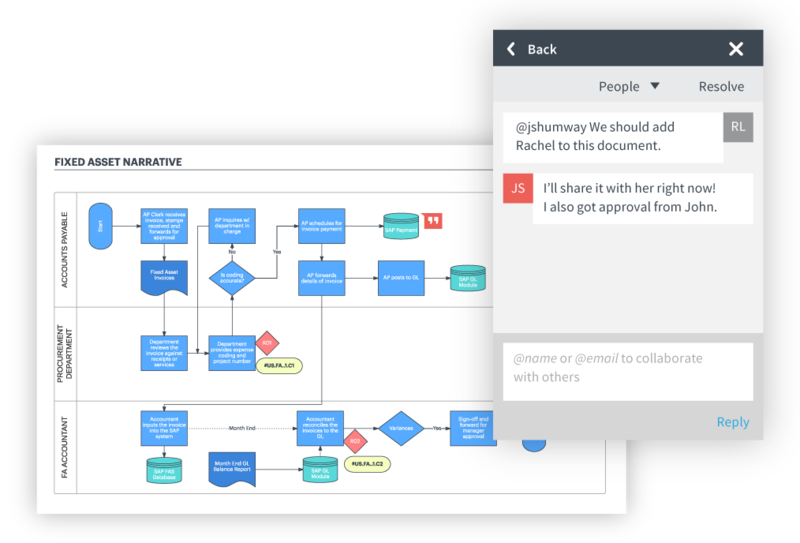 With the intuitive interface and collaboration that Lucidchart offers, you can get quick feedback on your flowcharts, or even ask process owners to build them for you, to nail the exact process quickly.